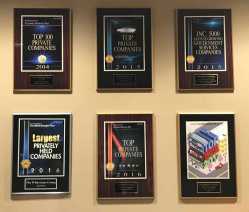 This month, The Whitestone Group was once again named to the Top Private Companies list by Columbus Business First, the business news and information authority in Central Ohio. 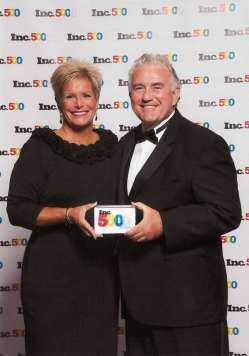 The Whitestone Group has received the prestigious Inc. 5000 Award for seventh consecutive year–breaking into the top 1000 in 2013. 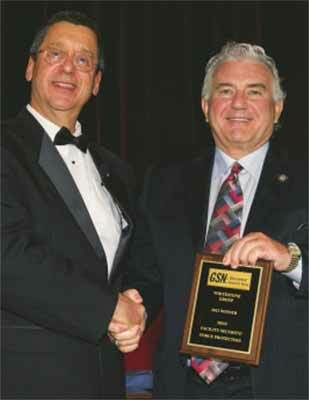 This award is presented to the fastest growing companies in the country. 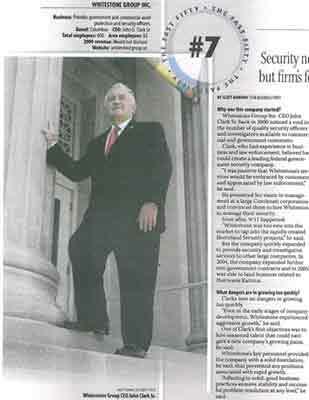 “Security Needs Have Led Growth, But Firm’s Foundation Enabled It”: The Whitestone Group is #7 in the 50 fastest growing companies headquartered in Columbus, Ohio. Business First Magazine has released their 2010 Fast 50 list, which honors some of Central Ohio’s fastest-growing privately held companies based on their financial performance during the last three years. 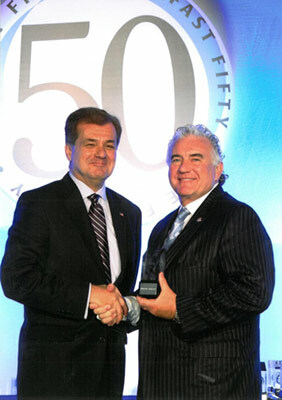 The Whitestone Group, Inc., with corporate offices at Easton, in Columbus, was selected as one of this year’s honorees. The Whitestone Group, Inc. President and CEO, John D. Clark, Sr., was inducted into the Executive Order of the Ohio Commodores. 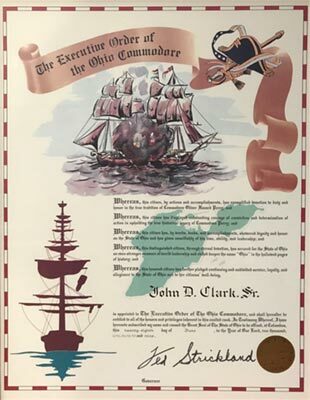 Named for the hero of the Battle of Lake Erie in 1813, Commodore Oliver Hazard Perry, the Executive Order of the Ohio Commodores was established to recognize Ohio business people for their contributions to economic development in their communities, and to the State of Ohio. 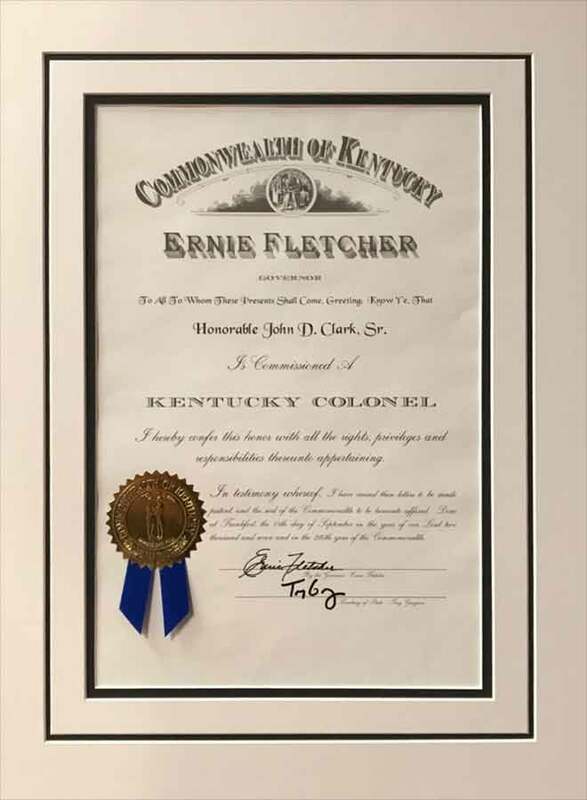 John D. Clark, Sr., President and CEO of The Whitestone Group, Inc. was commissioned as a Kentucky Colonel, the highest title of honor bestowed by the Governor of Kentucky. The commission is given in recognition of noteworthy accomplishments and outstanding service to a community, state or the nation.